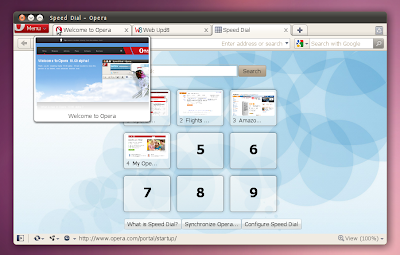 There won't be any stable Opera 10.5x for Linux because Opera already reached version 10.60 alpha 1. But there is some good news for the Linux users: Opera 10.60 aims to synchronize across all desktop platforms meaning that when the Windows stable build will be released, we'll also have a stable version for Linux and of course the Linux version will benefit from all the improvements since 10.5x. Download Opera .deb, .rpm and .tar.gz for Linux | for Windows and Mac, see the original announcement.